Gluten free and vegan baking aficionado Elizabeth Draper founded ElizabethDBakes in 2015. Today you can fund the next stage in her growth and earn. Paid back in full on 11 Mar 18 5 days early!!! Elizabeth Draper's company ElizabethDBakes is a baking phenomenon. Founded in 2015 she has rapidly established itself as a best-seller in Whole Foods with her "free from" varieties of American baking classics. Today she is taking the next step in her growth. A busy selling period is ahead: Halloween, Thanksgiving and Christmas. Elizabeth wants to invest in personnel, her website, raw materials and packaging. You can fund her growth here. Invest in the production of 1,500 boxes of her best products for £40.00 and up and you can earn 11.3% in just 7 months. ElizabethDBakes successfully raised £30,000 to fund the production of 1,500 boxes 617 days ago. Check back soon for more offers. Elizabeth Draper is an exceptionally experienced baker. Her first baking company acquired the prestigious Waterstones Cafe W account, won 2 Great Taste Awards and was sold in 2014. To this day it continues to be a successful artisan and "free from" wholesale supplier in London. Today Elizabeth's company "ElizabethDBakes" creates unique "free from" cakes using 100% natural ingredients. They are hand-made in a dedicated gluten-free environment. She is also a Winner of 2 Great Taste Awards in 2016 and 2017. Elizabeth’s inspiration comes from her childhood in the American South where she learned to bake from her Great-grandmother, her Grandmother and her mother. She has a talent for giving classic American bakes a "free from" twist - to the delight of her ever-growing allergy-friendly, gluten-free and vegan fans. 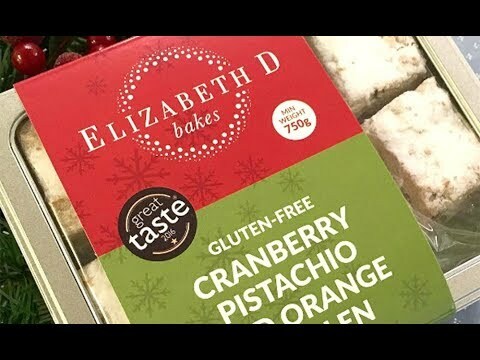 2016 was ElizabethDBakes' first year of trading and the company achieved sales of £60,000. Projected sales in 2017 may be as much as double with strong sales targeted in the festive season. ElizabethDBakes would like to raise £30,000 for public relations, marketing, a website upgrade, an enhanced B2B capability, raw materials and premium packaging for the Christmas range of products. In return Elizabeth is offering investors a return of 11.3% in 7 months. This is an annual equivalent rate of 20%. Conservatively, £30,000 represents 2-3 months of Elizabeth D's sales. The offer is 100% backed by ElizabethDBakes' boxes of Gluten Free Brownies and Bars. These are Elizabeth's best known product with a retail price of £25.00 per box and up. Elizabeth Draper is a London resident and she and her team bake from her custom-fitted kitchen in the Greenwich area.